A small set up for quick, run-and-gun video conversations. 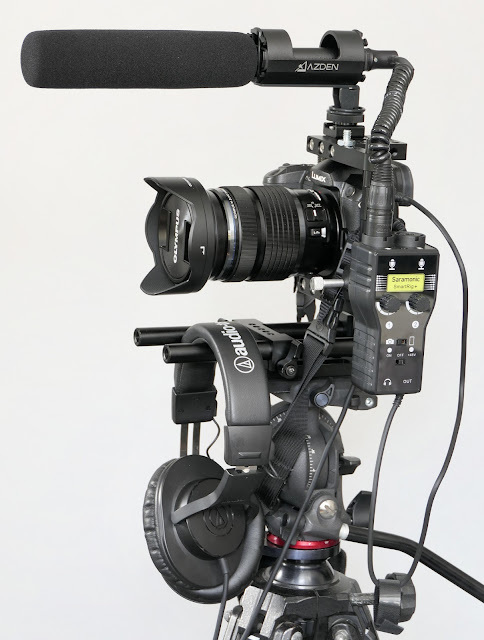 Panasonic GH5+Olympus 12-100mm f4.0+Camvate Camera Rig Cage+ Saramonic SmartRig+ Pre-Amp + Aputure Diety microphone + Audio Technica isolating headphones. Manfrotto fluid head and Berlebach wooden tripod. Add batteries. Push red button. Make sure you see the flashing red indicator or nothing really happened. Test it all before you go out the door. Make sure you can look through your viewfinder without poking yourself in the eye with the back of the microphone. Test the lens with the body you're going to use it with. Have a plan to take the whole rig off the tripod. Work with your pre-amp enough times that you know where the gain knob is without having to look. Grab the correct release lever. Nothing worse that watching a camera slide off the rails. Figure out how you're going to hold that puppy when you want to move around. Do you really need an external monitor if you need to be very mobile (not with the GH5 at 30 fps). Can you access all the menu items quickly? Is your cage rock solid? Did you set the headphone levels correctly? (Any alternate advice on the proper way to set headphone levels? Chime in please!). Did you bring the right tripod or do you wish you could go up another foot? Did you get the advance check? Did the bank cash it for you? It's fun to look back at old campaigns. Reminds us of what we are capable. 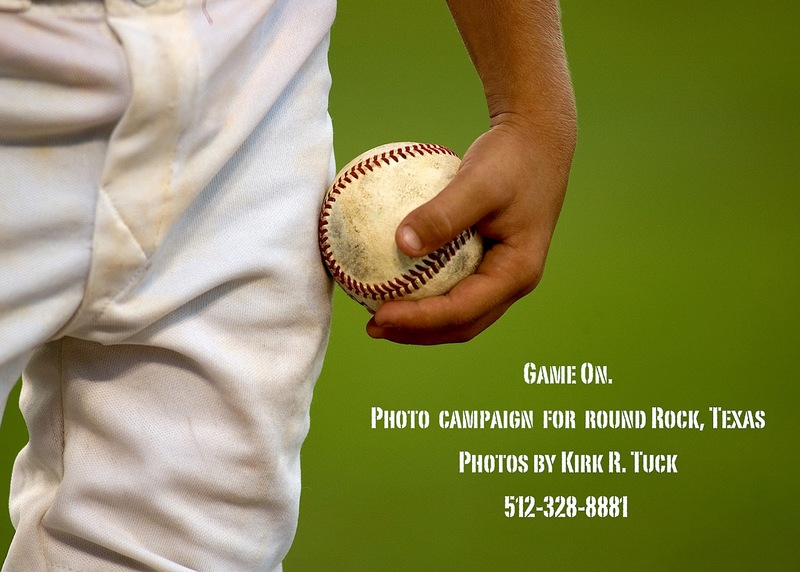 In the early days of digital imaging I worked with an agency called, Dandy Idea, to create a series of magazine print ads and posters for the city of Round Rock, Texas. They wanted to up their tourism profile and didn't think being the headquarters for Dell, Inc. was really a major draw for families. Since they have great public soccer fields, an enormous number of great baseball/softball fields and lots of areas in which to give road bikers a workout the chamber decided to position the city as a destination for sports. 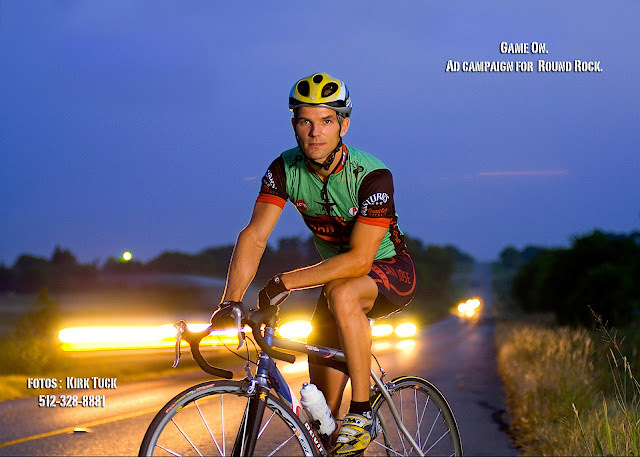 The theme for the campaign was "Game On." 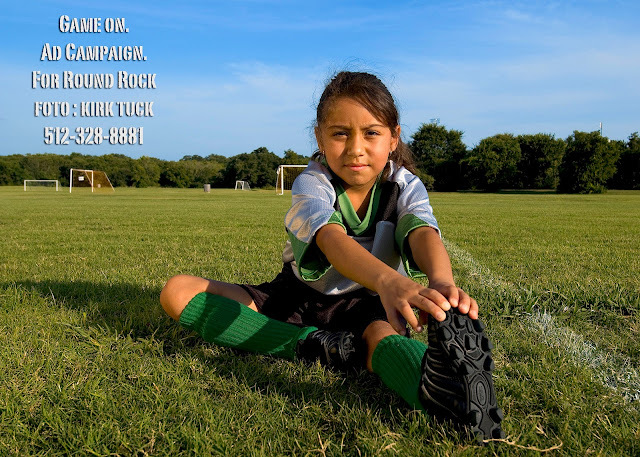 and the ads used the stencil type I'm used when I created these images for my portfolio and for direct mail. Of course, as scheduling would have it we did the shots in the middle of an especially hot Summer. I got a lot of practice drinking Gatorade(tm) and finding convenient shade. I worked with one of my all time favorite art directors, Greg Barton, and we had a great time looking for locations and doing crazy stuff like me lying belly down in a ditch filled with stingy plants to get the bike shot, or getting my car stuck in the mud on scouting shot (rescued by some good ole boys in a pick-up truck equipped with a winch).